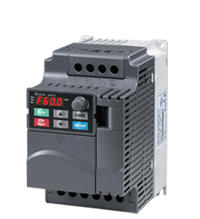 The modular frequency inverter VFD-E.
From the experiences made with S- and B-line there has been developed a new motor drive. The targets were, integrated line filter and brake choppers, as well as an easy selection and handling, sturdiness and a modular drive philosophy, as to find an optimal solution in both economical and technical aspects on every demand for a motor drive. Unbelievable price on Inverter E-line VFD-E in Shah Alam (Malaysia) company Watt Euro-Drive (Malaysia), Sdn. Bhd..